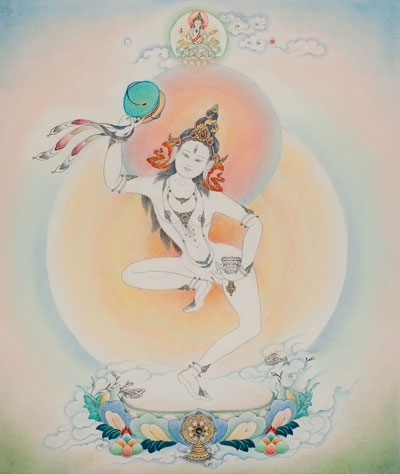 Machik Lapdron, "Timeless Awareness Wisdom Dakini," is a renowned eleventh-century tantric practitioner and yogini. She is author and master of the Mahamudra Chod practice. This painting by Cynthia Moku is reproduced on high-quality paper suitable for framing.